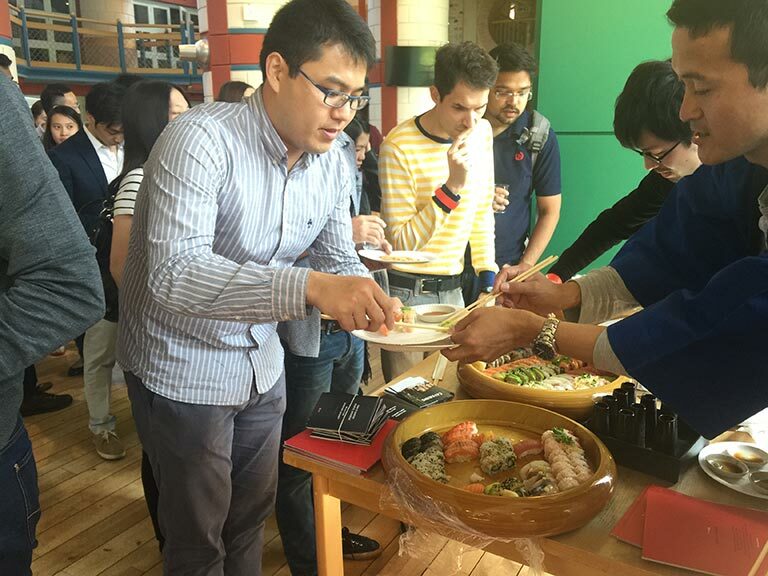 “This is the first time I’ve had authentic Sake…I’ve never thought of Sake as a tasty drink!”, one of the attendees of Cambridge Japan Day 2016 excitedly told us, as they perused the variety of Sake on offer. 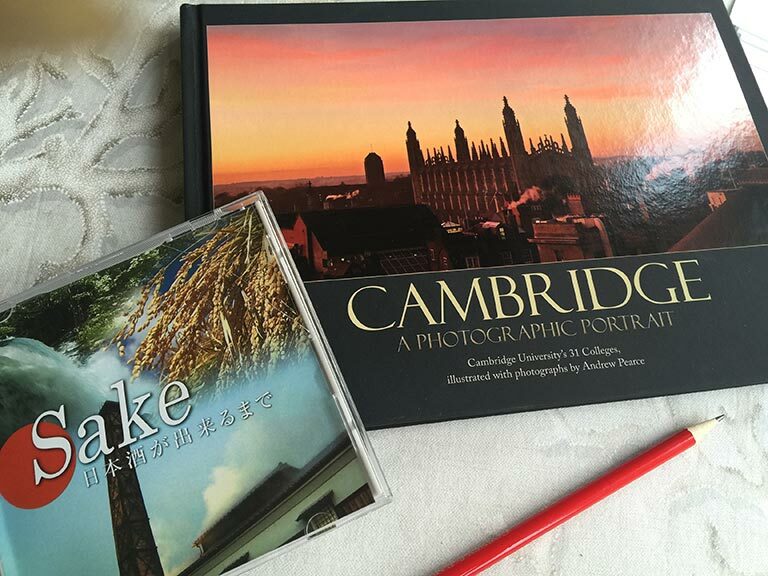 Cambridge Japan Day was started in 2015 by a team of Japanese MBA students studying at Judge Business School, with the purpose of promoting Japanese culture (“Cool Japan”) to students from all over the world. With the support of Sake Samurai UK and Tazaki Foods UK, they were able to host their second Japan Day this year with great success. 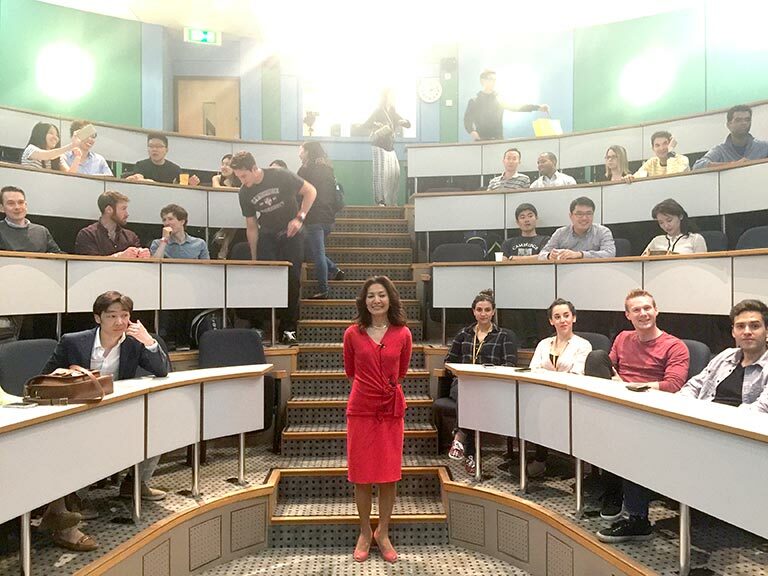 The event started with a lecture conducted by UK sake ambassador, Rie Yoshitake. Rie began the talk with a short clip produced by The Guardian, “In search of Sake”, in which Rie introduces three brewers and the ancient art of sake making. This was followed by a general overview of Sake culture and a hands on tasting of different Sake styles, both still and sparkling, with Japanese sushi, takoyaki and sweets. Guests were surprised to discover that Sake could also take on a sparkling form, which in combination with the ultra smooth Junmai Daiginjo Sake changed their perceptions of a previously misunderstood drink. The event ended with a fashion show, in which students from all over the world wore traditional Japanese clothing, such as the Kimono and Yukata, nicely portraying the international allure of Japanese culture. 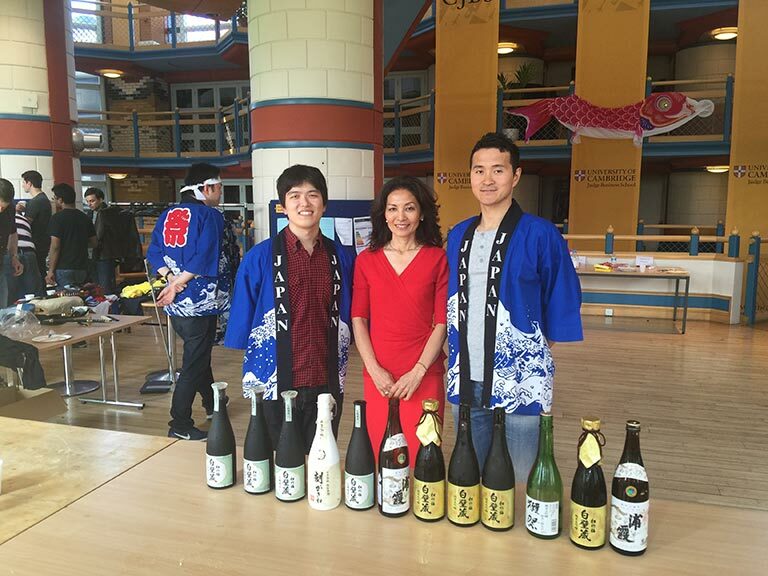 Ultimately, the hope is that the tradition of Japan Day at Cambridge will be handed down to each successive generation of students, fueling the growing the popularity of Japanese food and drink culture. With thanks to Tazaki Foods UK for the provision of the sparkling Sake, and Asahi Shuzo for providing the Junmai Daiginjo Sake.